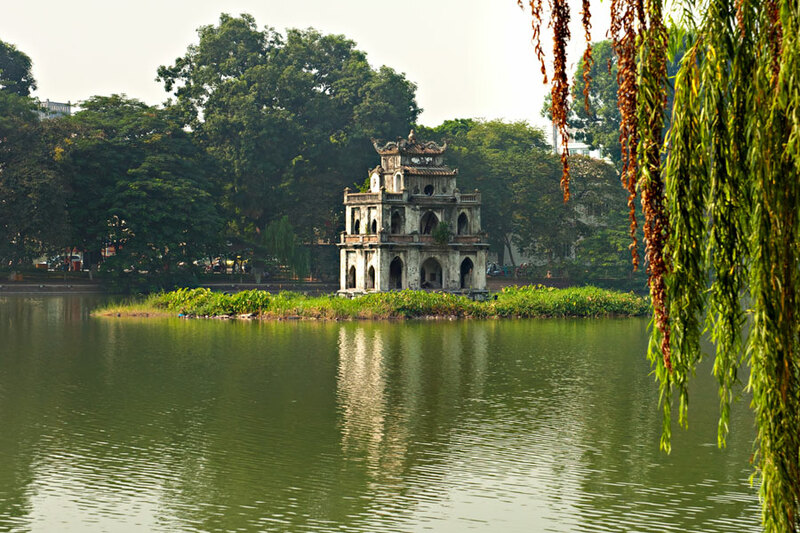 Hanoi Voyages > Vietnam travel guide > When is the best time to visit Vietnam? Vietnam is a country that is over 1.000 km (600 miles) in length and different seasons can, therefore, be found across the country. This climate diversity means that ANY TIME is the BEST time to visit Vietnam. Northern region: the cool and dry season from November to April (January – March being the coldest) and the hot and humid season from May to October (July – September being the wettest). Central region: the dry season from January to May and the wet season from August to December with monsoons weather. Mountains in Sapa are one of our top destinations. For the warm and dry weather, travel in March and April, and pick October to November for a cooler climate and clear days. 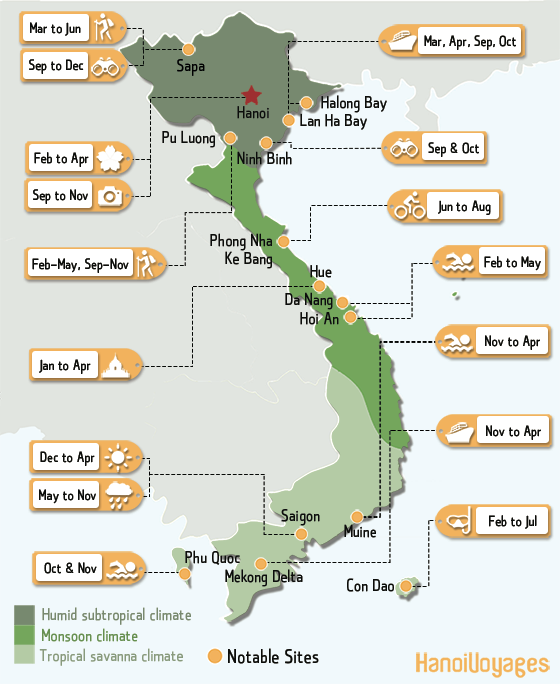 The summer in the capital of Hanoi lasts from May to September with an average of 32°C (90°F). Together with high humidity, there is a chance that you would encounter tropical rain. Pro tip: keep your umbrella on you, especially in the afternoon! 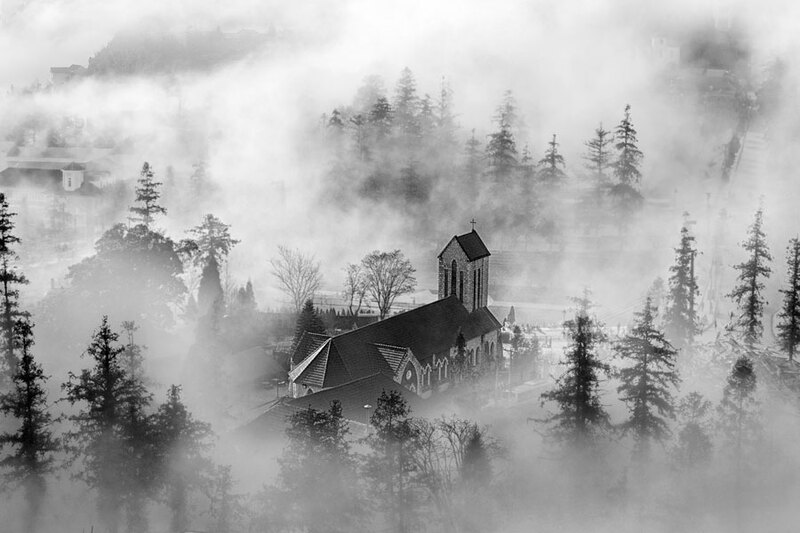 The winters are colder with an average temperature of 17°C (62°F). 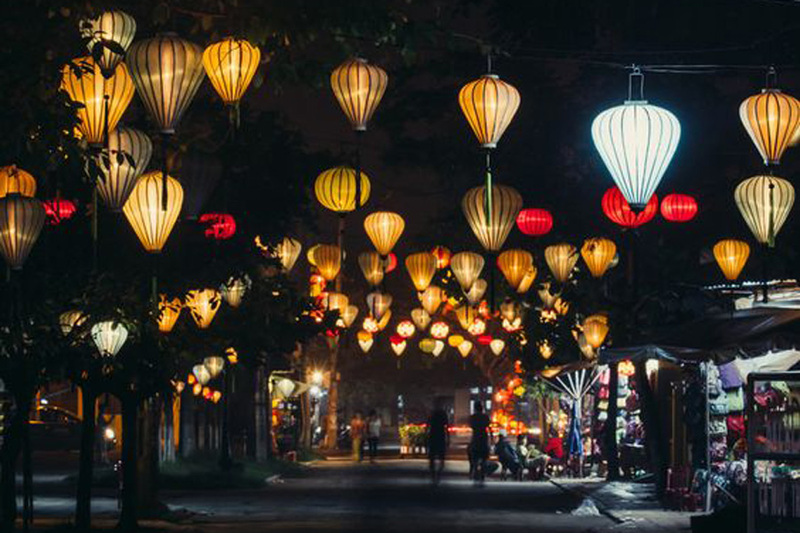 The best time to visit Hanoi is between October and November. At that time the days are not too hot with less rain and lots of sunshine. 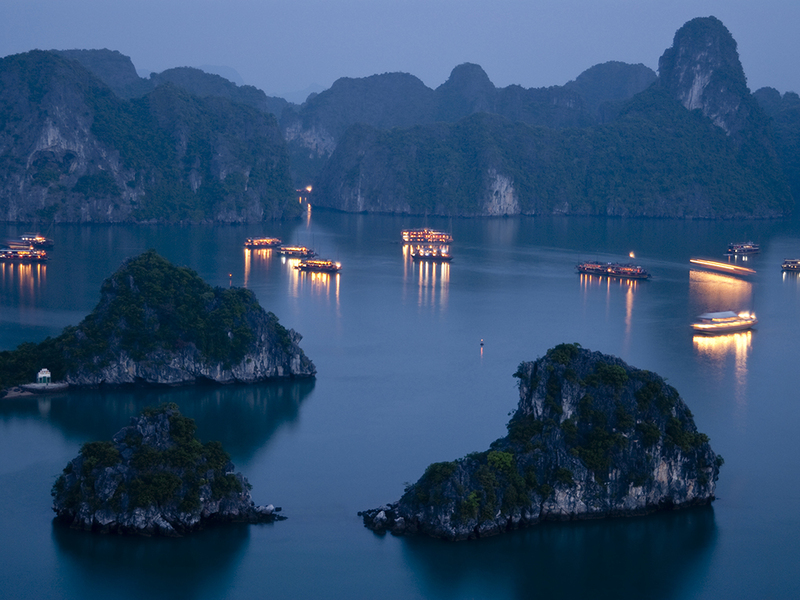 Another well-known destination in the North is Halong Bay. Pick spring and autumn for warm days and clear sky. Opt for March to May for a blue sky and pleasant temperatures. From May to November, the days are warm and humid with rain in the afternoon. December to February would be the coldest time. Dry season with high temperatures, but rain can occur. Hot and humid, and rain is becoming more likely. Monsoons will affect the Central the most during this time. The summertime of July and August is the best time to visit Da Nang and Hoi An. The weather is dry and warm all day with no rain in sight. In the winter the temperature will go down to 24°C (75°F) together with heavy rainfall from October to November. Typhoons occasionally hit the area. To see the green season in the mountains near Dalat, May to November is the best due to the wet season. Like every other place in Central Vietnam, the temperatures are consistent year-round with an average temperature of 20°C (68°F). 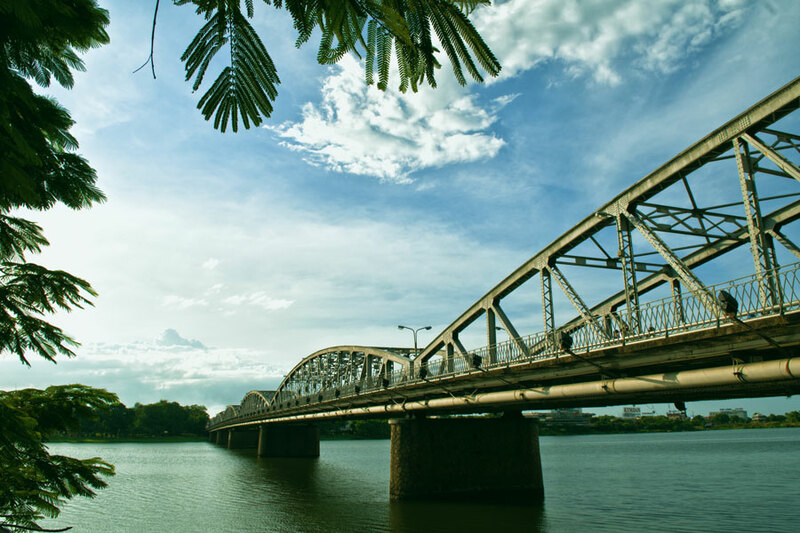 Another famous destination in Central Vietnam is Hue, where the dry season lasts from January to August, but afternoon rain is still common. The wet season lasts from October to November, and heavy rains can cause flooding. The temperatures can reach 35°C (95°F) in the summer period. Otherwise temperatures are found to be consistent. In general, the weather in the south is consistently warm due to the close location to the equator. You can venture here anytime year-round with an average temperature of 30°C (86°F). It is the perfect place for a beach holiday! Ho Chi Minh (Saigon) is the largest city in Vietnam. Here the rain season is found from May to November. We highly recommend the dry season, December-April. However, sometimes it would get super hot and dry, so make sure to stay hydrated and bring an umbrella. You can also explore the Mekong Delta. 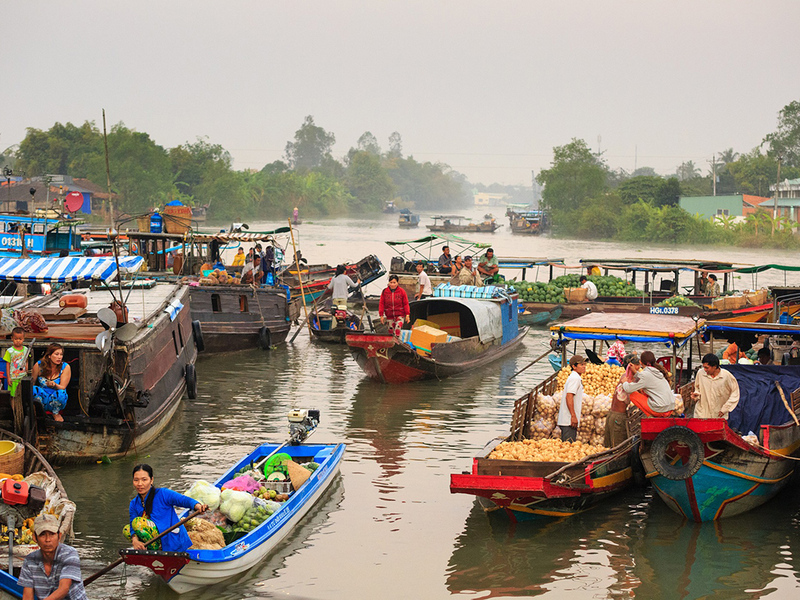 Regions of Ca Mau, Kien Giang are famous for their floating markets. Make sure to bring an umbrella for slight rain and repellent for mosquitos bites in wet season. After saying all of the above, Vietnam is not a place “that bites”. It will steal your ♥ though!